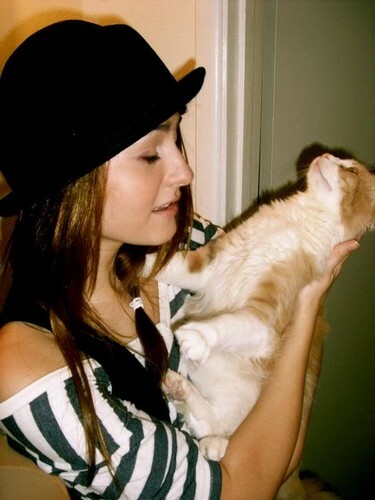 Scout and Copper. . HD Wallpaper and background images in the Scout Taylor-Compton club tagged: scout taylor compton copper cat. This Scout Taylor-Compton photo might contain بلی کے بچے and کٹی.